Although there is no social prototype of a possessive man and controller, certain characteristics and attitudes are common to what we can state to define them. Nevertheless, it is important to bear in mind that they can be very different individuals with respect to social and economic status, age, education, religious beliefs, political tendencies and education. Beyond the characteristics that we will explain in following, they almost all agree in their way of starting a relationship and in their subsequent maintenance through dominant and authoritarian behaviors. Sometimes, they disguise these attitudes with subtle and kind gestures and at other times, they exercise them without any scruple. The question is that little by little, they forge a prison in which they imprison the other person. The first signs of alarm are negativity, devaluation and rejection of the partner. These signals are disguised behind false modesty by taking the excuse that these are just remarks to improve. To this, we add daily interrogations on daily details. The problem is that little by little, the victim loses his identity. She gives less importance to the behaviors that cause her suffering and pain. She begins to measure each of her words to please. Nevertheless, at the beginning of the relationship, this may be a normal behavior proving the partner's concern for daily activities. Sending a message, calls several times a day. But where is the limit? The danger appears when the desire to know about the other becomes an obsession and the interest turns into control. The controlling personality does not usually manifest at the beginning of the relationship. It develops as time goes by. Although this type of behavior can be adopted by both men and women, we will focus this article on the traits and characteristics that describe possessive and controlling men. They are individuals filled with insecurity and lack of confidence. "Defend your life, fight for your independence, seek your happiness and learn to love you." The possessive and controlling man is characterized by an obsessive personality. It's about checking everything around it. This type of man always seems to be on the defensive. He gets angry easily and sometimes he tries to contain his aggressiveness. He is obsessed with controlling the place where his partner is at all times, with whom she finds herself or the friendships she has. It becomes something of paramount importance in the relationship. Although she told him what she would do and where, he will always try to verify the information. For that, he will ask questions, use family or friends to verify that what has been said is indeed true. It is important to remember that each of us is a free person and that no one has the right to decide who we can go out with or how we should dress. That would be a lack of respect and an inhibition of our freedom. 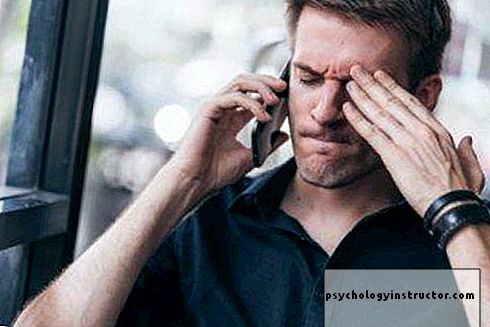 The jealousy is generated as a response to deep feelings of insecurity and lack of self-confidence projected on the partner. Thus, it usually arises when one feels that the love of the other is in danger or when one experiences the fear of not being the center of attention of the loved one, without this being certain . In fact, the jealous are afraid of abandonment, are emotionally dependent and suffer from chronic insecurity. Although the majority of people are not able to relativize this sentiment and put it in context; possessive men experience great difficulties when they have to manage it. In this way, jealousy will eventually dominate them and it will express itself through critical, controlling and sometimes even aggressive behaviors. In addition to calling and sending messages several times a day, a possessive man and controller is able to be disturbed when not answered immediately. If this happens to you at the beginning of a relationship, it's best to talk about it. If he is still not able to understand it, the best is to get away. If this happens in a stable relationship, it is best to talk about it or consult a professional. It is important to keep in mind that the mobile phone is a personal item and that no one should control our calls and messages since they are part of our privacy. "Communicating is important, but when calls are ongoing, it can be phone harassing, the goal is to know where you are, with whom, and what you are doing at a particular time." Cohabitation with a possessive man and controller is practically unbearable since it can end up submit or delete the other person. On the other hand, this type of profile generally experiences a deep sense of ownership of the other. This means that he considers the other as his property and that he has the freedom to decide for her without regard to his opinion. This usually turns into a situation of psychological abuse. The victim may end up having serious difficulties in seeing reality objectively, the fruit of personal deception. In these cases, it is important to eliminate the concept of belonging in love as well as the belief that jealousy is a demonstration of that feeling. Love has nothing to do with possession, the need for control, freedom, respect and trust. For this, it is important to establish certain limits in relationships. "It is necessary that we love you as you are, but especially that we value you and that we respect you." As a rule, the possessive and controlling man will encourage his partner to put aside his passions, his worries and his friendships. He will want to prevent him from taking an interest in something he can not control. In extreme cases, possessive men can achieve verbal or physical aggression with the other person so that he behaves as he waits and wishes. Nevertheless, in these situations, the most important thing is to ask for help, both professional and legal. Finally, let's not forget the fact that in a relationship; it is love that must prevail as well as respect and the desire to help others grow. "Where someone strives for his dignity, for equality, for freedom, look him in the eye." Lenore Walker has developed a theory on gender violence. 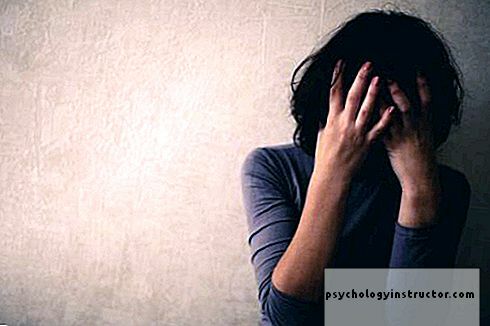 According to her, this type of violence would experience three major phases and would have the … Read More "
Emotional Abuse and Anxiety: How Are They Linked?